Photo submitted by Brianne Lee. 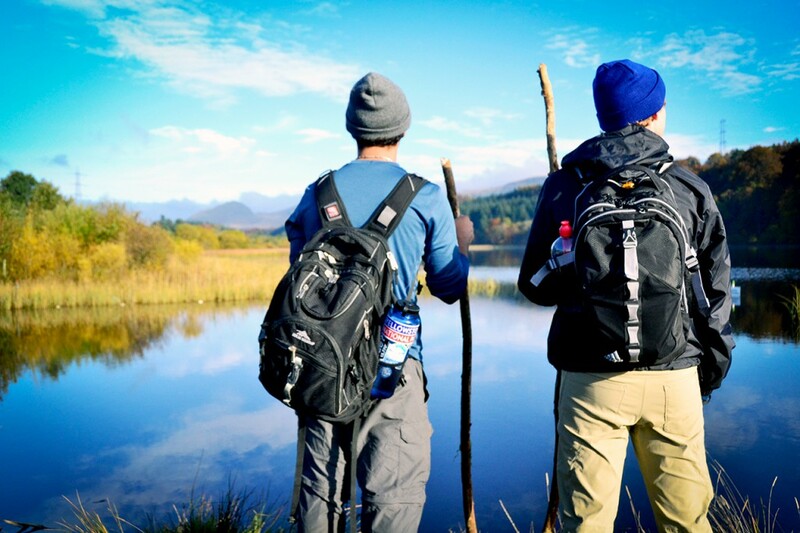 Bobby Martinez and Nick Nelson trek along the West Highland Way in Scotland during their fall break exploration seminar. The group spent the mid-semester recess backpacking the trail through a variety of weather patterns. This was how long Ruthie Stein, a Concordia junior, had to hike to get to the overnight rest stop on the second to last night of English Professor Scott Olsen’s week-long trip to Scotland. Put another way, it could be only a few feet or it could be miles. She, one other student and a complete stranger, James, had taken a wrong turn during the course of the day, which set them back several hours. Now they had to walk through a blizzard in order to reach the safety of their hotel. 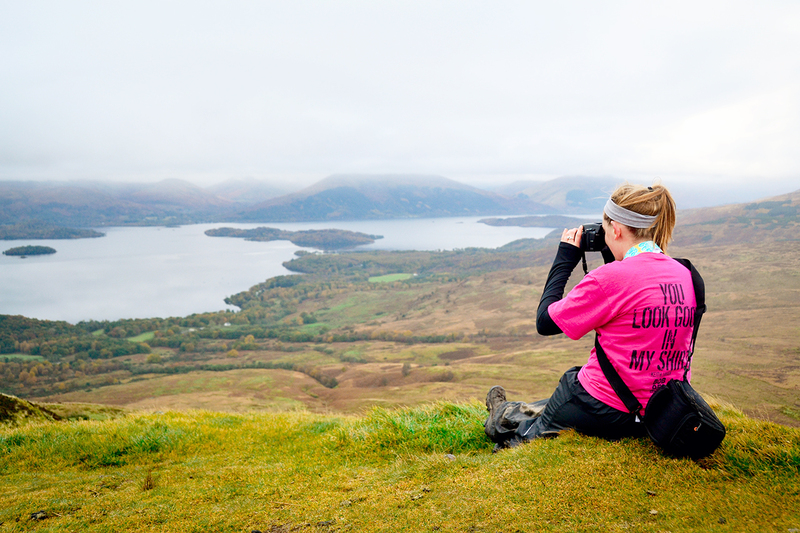 Students on the trip hike about 80 miles of the West Highland Way’s approximately 100 mile long journey. The trip is offered in conjunction with Olsen’s inquiry seminar titled Adventure, Exploration and Risk, which aims to both expose students to the world of travel writing and to give them opportunities to step out of their comfort zones. Stein had been in Olsen’s inquiry seminar in her freshman year and had gone to Scotland then. This year, she decided she wanted to go again. Olsen said that Stein is only the second person to go on the trip twice. 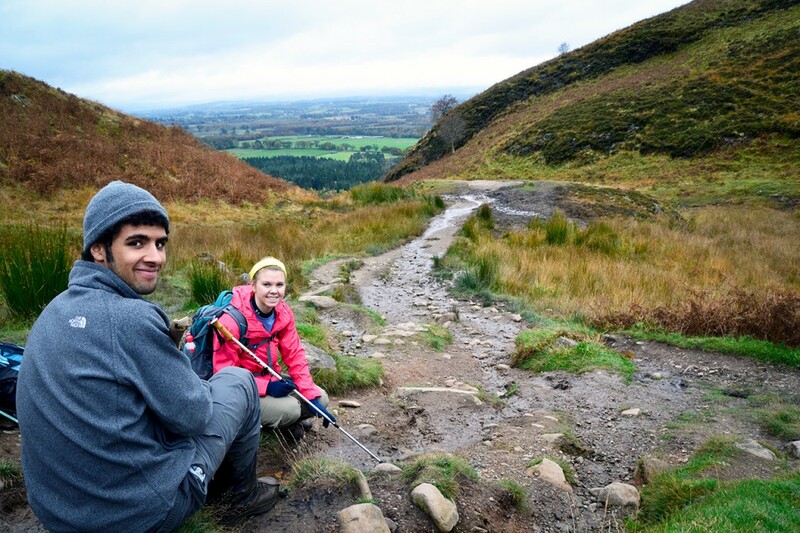 He leads the fall mid-semester break trip every year, no matter the weather in Scotland. Photo submitted by Brianne Lee. Bobby Martinez and Trudy Johnson alongside the West Highland Way. However, this year the trail, which tends to be rainy, was unusually sunny for the majority of the trip. “The weather was uncharacteristically good,” Olsen said. Stein said the groups’ members generally stuck together, depending on how quickly each person walked and whether or not there were photo opportunities. The trip also offered the opportunity to meet new people, as Stein did. She spent part of her trip speaking to some Chinese tourists in their own language, in which she is fluent. They talked about the differences between Chinese, Scottish and American culture. “You get to talk about differences in the cultures and discover more,” Stein said. Olsen said that part of his favorite part of the trip is the opportunity for the random. “One of the tremendous graces of the trip is serendipity,” Olsen said. He went on to describe a 70-year-old woman who walked the trail alongside the group for several days. Stein said that the woman had recently lost her 18-year-old cat, Tom, and was walking the trail as a type of therapy. Photo submitted by Brianne Lee. Meghan Cogdill takes photos of the scenery along the trail. Near the end of the trip, Stein met another hiker named James who was a twenty-something first-timer on the trail. They walked together throughout the day which began with sun and ended with them enduring a blizzard. That afternoon, Stein and her group came to a fork in the trail and continued on what they though was the correct path. Eventually, they came to a large, gated fence. However, this fence was locked without any way over or around it. Stein’s group walked back and tried to follow another route only to have it end in forest. Here Stein recalled advice that Olsen gives to each group at the start of the trip. “If you ever think you’re not on the trail, you’re not on the trail,” Olsen advised. Stein and her group eventually made their way back to the West Highland Way and continued their journey toward the next hotel. The group now had to catch up to the rest of the hikers and make up for time they lost on their detour. They also had to deal with fatigue after walking 12 to 15 miles for the past several days. The group had about nine miles left to go and then the weather turned cloudy and it started snowing. Stein’s group continued through the blizzard for what she estimated was four miles. At this point, it was night and the group had only water and whatever gear they had in their day packs to keep themselves going. “I just kept a smile on my face the whole time,” Stein explained. This way, she continued, she wouldn’t focus on how difficult it was to continue or on how sore she was. “It felt like it would never ever come,” Stein said. However, the group made it to the safety of the hotel with the blizzard still continuing outside. They were greeted by the rest of the group and warm food. “Making it up the stairs when we got there, with our luggage, was a challenge,” Stein said. Olsen says that every year the students are challenged to test both their physical and what he calls courageous boundaries. He encourages them to go to a strange country, with strange money and try some strange things. “(The students) really gain a sense of community and confidence and a sense of their own success as adventurers and explorers,” Olsen said. Photo submitted by Brianne Lee. 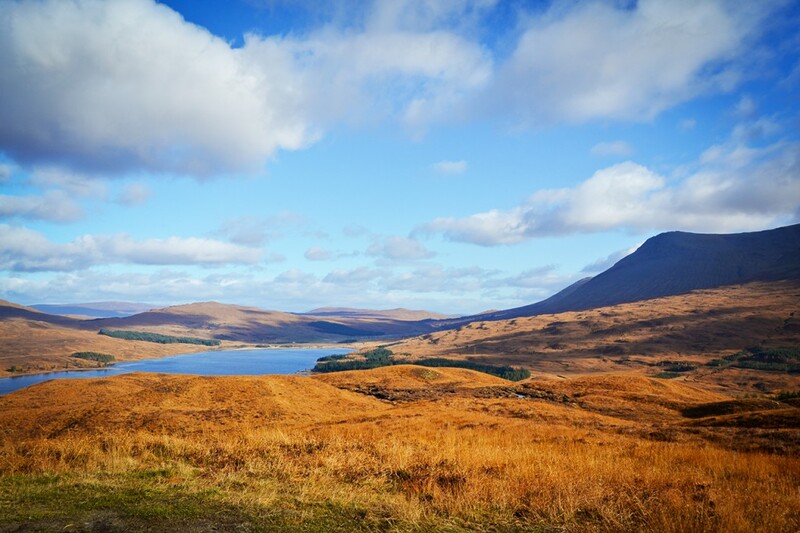 Some of the scenery seen along the West Highland Way in Scotland.